Submit a current resume (emailed to graduate@shsu.edu). Official TOEFL score of at least 79 (or IELTS score of at least 6.5). 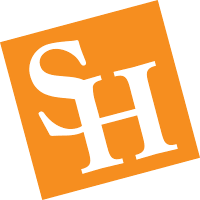 Students who earned a baccalaureate degree from a university located outside of the United States must satisfy all of the following to be considered for admission into SHSU’s MBA program. organization. The M.B.A. program is suited for qualified students from any academic discipline. The program provides the candidate with a basic managerial background through the core requirements while providing individualized adaptation through elective courses.